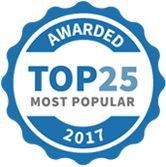 We are delighted to announce that Health4You ranked Satori Self Development amongst the Top 25 Most Popular Health and Fitness Services for 2017. Health4You is Australia’s leading online marketplace for health and fitness. In 2017, we held #1 Most Popular Health and Fitness Service in Macarthur & Camden Region and #3 Most Popular Health and Fitness Service in the Sydney Region. Our services include – Hypnotherapy, Mindfulness Meditation, Medical Meditation, Neuro Linguistic Programming and Emotional Freedom Technique. We provide Therapy & Coaching for Individuals, Couples & Groups for Mental Health & Wellbeing. So, direct your attention now to better health and wellbeing! © Satori Self Development 2018. Website by Camden PC Solutions.